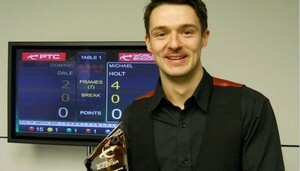 Michael Holt is the winner of PTC 10 by beating Dominic Dale in the final by 4-2. It is Holt's second PTC title after EPTC6 last season. The Hitman beaten Mark Selby in decider from 2-3 behind and John Higgins by 4-2 in semi-final, the same scoreline that he defeated Higgins in the EPTC6 final last season to win that title. Holt took an 2-0 advantage over Dominic Dale, the runner-up of the event before Dale trailed 2-3. Eventually Holt compiled his second PTC titles with 44 to win 4-2. Stephen Lee missed the chance of getting into the final of PTC events again, he lost to Dale by 2-4 in the semi-finals. He is doing fine in the PTCs but unfortunately not yet win a title this season. So did Liang Wenbo. 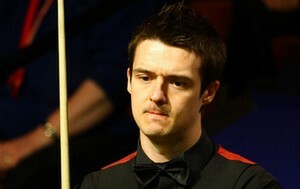 He must be gutted to lose in the quarter-finals, including a frame that he should haven't lost. Otherwise he could be one into later stage of the event. This is the last PTC before UK Championship which will be held starting from this Saturday. The next PTC will be PTC11, which runs from 17-19 December in Sheffield.